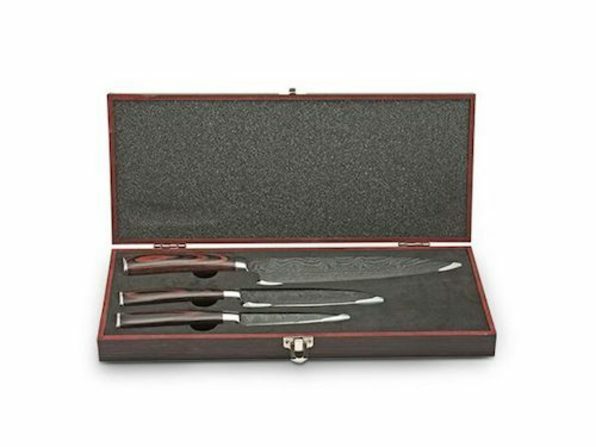 Whether you're prepping for a big holiday meal or just fixing yourself a quick bite, you can count on having the right knife for the job with this 3-piece set from SmartPan. 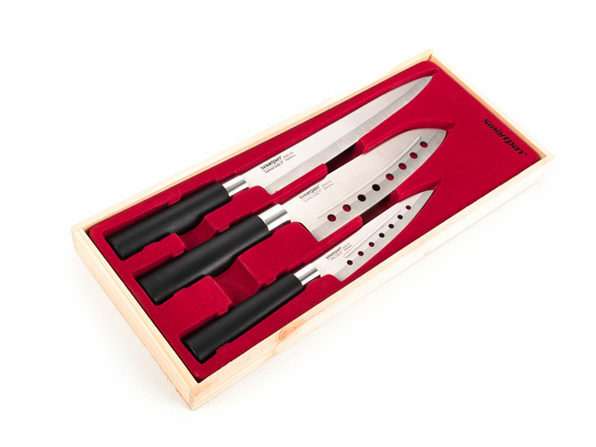 Complete with a carving knife, santoku knife, and utility knife, this collection of cutlery gives you next-level flexibility. 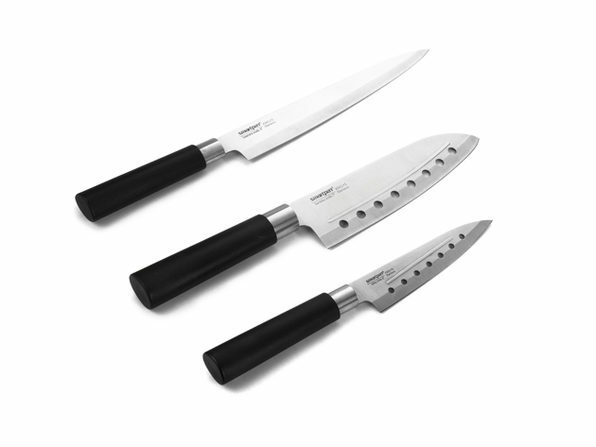 The carving knife features a narrow blade that's perfect for working with fish, while the Santoku knife is perforated, so meat won't stick on its surface. 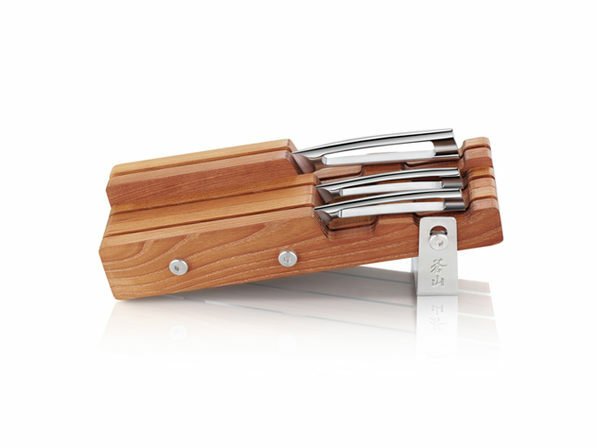 When it comes to working with produce, you can count on the utility knife's short, nimble blade to make quick work of your fruit and veggies.